I don't think so. There's a USB Receiver for this to work. Does it work with ipad pro ? If this keyboard works the same as the K400r then some people might notice that is can be VERY annoying if you swipe from the left hand side (especially if you are using your left hand to operate the mouse pad). On the K400r you can press fn + right mouse button and it turns all these really annoying gestures off. The con is this has to be done each time you restart the PC. Hopefully will help as it took me years of being frustrated with this behaviour before I spent time working out how to stop it. 10% off this price if you are an Amazon student ! 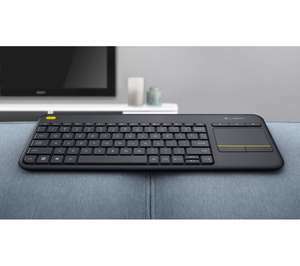 Great keyboard, ordered at 21:45 last night received by 11:00 today only down point is there is not a capslock or numlock light but you can set up an audible alert in the ease of access settings in windows 10 so problem resolved. Cheers OP! This looks great. Don’t forget quidco... when I logged in I had a £10 bonus if I opted in and purchased something. Double bargain if all works out! Or pay £70 for the wireless G613 which is a solid mechanical gaming keyboard (so nice feeling keys), good design, media keys and macro keys with little to no latency (not noticeable in competitive gaming for me at least). Only problem is no backlighting but you should be using this in a lit room anyways to save your eyes. That's the polar opposite of backlighting! Ordered this yesterday @ £64.99. Needless to say I contacted Amazon to see if they could adjust the price, but they would rather me cancel/return the item and buy again. Strange, but done it anyway. £35 @ cex with 2yr warranty. Great device this. Never had any issues using it with a Windows pc. Mouse pad v. responsive and batteries last months. Ordered for £14.39 not student normal prime? Plus this order will be delivered TODAY, 6pm – 10pm, for FREE with your Prime membership. Sweeeet! Hopelly will work with my Sony tv one-by-one passwords are stressful with a remote! Not tried on Windows but I've found mine to be really useful for my Android TV. Most of the function buttons work as they should except for F8 (I think) which triggers the music app instead. Features like the touchpad, screenshot and recent apps switcher behave just like on 'proper' Android . The only slight complaint I have (aside from the lack of a backlight) is that the connection between the 'board and receiver on mine ends after a long period of inactivity, with the only solution being to remove the batteries and place them back after about 30 seconds. Looks like the code has expired. Thank you... I agree.. (y) XD Pull the lever KAPOWWW I was chuckling when i wrote the bit about Fred Astaire's dancing cane! There's a space for it in the battery compartment. Check the underside of the battery cover. I've got this keyboard and the one thing that really winds me up about it is that the USB dongle has nowhere to go when not plugged in to a USB port. Would have been much better of Logitech made it possible to store it in the keyboard somewhere! Probably cause it isn't a £199 Razer Huntsman Elite! Have some heat! Only thing I don't like about ANNE is that the firmware isn't open source. If it ran something like TMK/QMK it would be even more of a steal. ANSI layout like most of the keyboards on Banggood/Gearbest, but if you can get over that then they're pretty swish. For those who need a big enter key in the euro style you're looking for the search term ISO. Does this keyboard have a on/off switch? Got a budget keyboard and uses the battery in no time, unless you take it out. Has anybody tried this on Windows 10 and/or USB3 ports? Bought this the other day (came with a flat battery, now replaced) but the keyboard is not working, mouse is fine. Not sure if I have a dud keyboard or if there is a genuine problem. Ran the Windows troubleshooter on the keyboard (it recognises it as a "2.4G Keyboard Mouse") and it says it's USB2 trying to run on USB3 so it won't work properly. Says I need to plug it into a USB 2 port, which I don't have. Going to be long drive back to the shop if I have to replace or return it, probably cost me more in fuel than the keyboard cost! Looks like it's sold out for delivery, I'll keep looking! 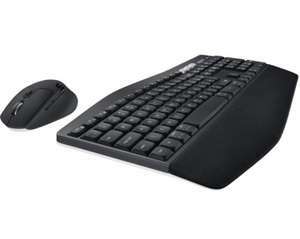 Never miss a 'Wireless Keyboard' deal again! Hi. Just picked one of these up from Argos. Anyone considering this kit should be aware that the USB dongle is not the normal small device that's little bigger than the USB plug, its like a typical pendrive and it protrudes from the socket by about 25mm. (annoyed) Edited to add: This combo cannot be used with the Logitech Unifying receiver, it will only work with the C-U0006 receiver as supplied. From FAQ on Logitech website. 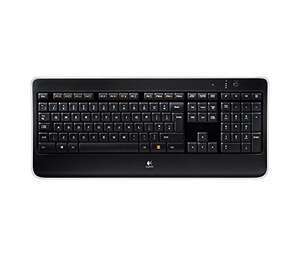 Logitech K380 multi device keyboard. Never been at this price in Amazon at this price. Does anyone know of a good bluetooth mouse that can be used in conjunction with this? I can't use a wireless adapter as I need the USB port for keeping my tablet on charge. Pretty much all you need. Good deal. That one i listed has a s.s.d. with W10 but no Hdd installed for storage.(C.E.X. will sell you a used warranted 500 gb drive for £8). 4 gb of ram is fine for surfing. (and if ya lucky its all on one stick so you can increase it easy)Dude, the problem you got is you need a reasonable chip, ram, s.s.d., hard drive, ? a new 1000 gb hard drive is ~£40. DDR4 ram is £9 / gb. a 120 gb s.s.d. is £25. a reasonable cpu is £75 new. then you got the case, mobo, power supply, windows, and they post it for free. You cant do it with 300 unless you build it yourself using a mix of new and used. (i can give you a list) but shopping for a refurb or basement price pc with a S.S.D. in it before crimbo with that budget,you wont find better than what I posted.. The HP one's cpu is really poor, honestly its worse than a cheap laptop. Feel free to pm me anything you see. Agreed although I can't see how these really save much if any room. The other problem is when they go wrong you lose everything. That being said they do look nice. Is there an off button at all on this? I ask because with my current wireless Logitech mouse, I can wake my laptop up from sleep just by moving the mouse. Therefore I need to turn it off in that case! DISCOUNT CODE - 20% off marked price. Enter code LOGITECHPCACCS20 at checkout.Ends today! It does have a removable cover but batteries are hidden and not accessible. Does the keyboard have a removable cover to the battery compartment on the rear as detailed in this video? I know this has expired, but I purchased on Currys for £75. Turns out that you cannot replace the batteries with these newer k800 models. I think they're soldered in. Would buy it if I could afford it. Have the 2011 wired model still going strong, longest I've ever useed the same keyboard. 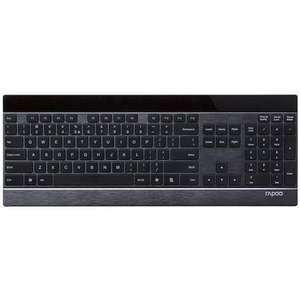 I have this and its the best keyboard I've ever bought. I've had mine for about over 2 years now and is still looking like new and not had any issues. The battery on it is great, tends to last me around 1-2 months. I just use for emails and general use. Is this proper Bluetooth or them dougle receiver thingy? Why don't they just do a proper FULL keyboard!!!! Where the hell do you put the code ? And - it IS a UK board isn't it ? Was in Currys / PC World an hour ago and got told the discount didn’t apply to this keyboard because it had already been reduced to £49.99. Just ordered online for £39.99.Idiots! Just in case anyone reads this in the future and is tempted by this item... DON'T BUY IT. The mouse scroll wheel turns off randomly in anything from 5 - 20 seconds - This is by design and makes it massivley frustrating to use. Mines going back. Perfect timing, exactly what I was looking for. No idea why this is going cold - this is by far the cheapest I've ever seen it! Would have purchased but need a backlit keyboard. Any good for gaming?. Casual like overwatch? Any Lag? Just received mine today. Thanks OP! I feel like purchasing it now as back up spare , but it's gone up. missed out, need one too. Any other alternatives.